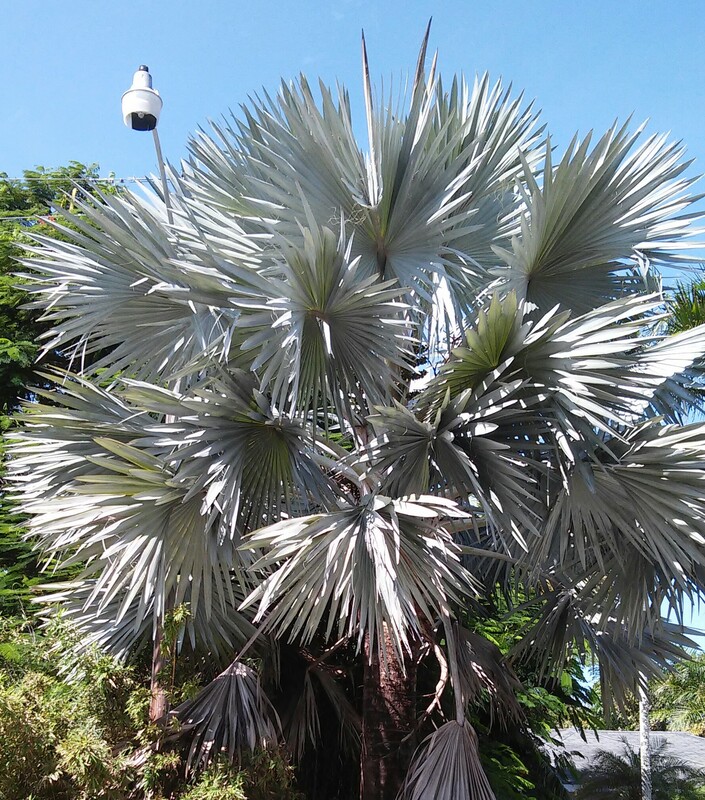 This entry was posted in Florida, Floridas best summer flowering trees, gardening, humor and tagged bismarck palms, Florida gardening, Floridas best summer flowering trees, madagascar, poncianas. Beautiful trees. That palm is so silvery. Beautiful trees indeed. And the Flamboyant Tree has such wonderful pods. I grew some seeds once but it was a pointless exercise. They will never be able to live outside and have flowers. My neighbor has grown some from seed. I am waiting for one of the late blooming ones with the gigantic canopies that look like the African Savanna. 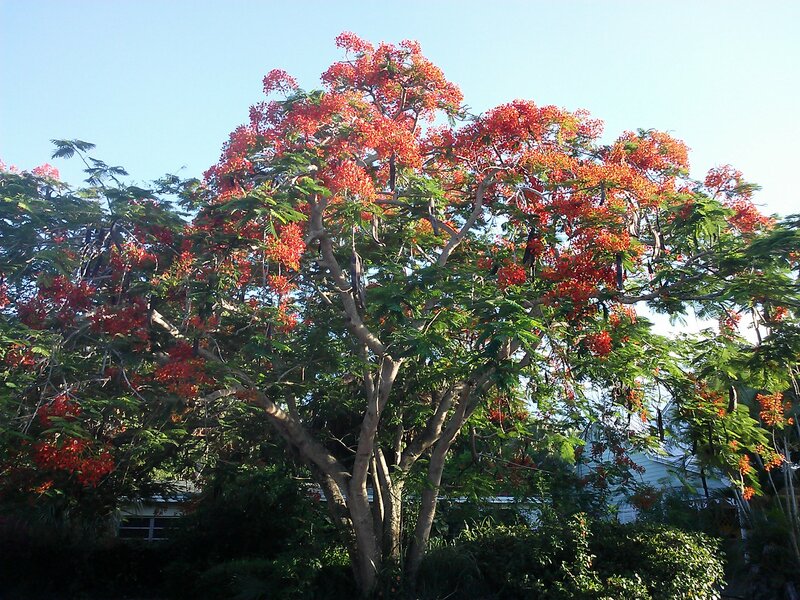 They are lovely trees – still one of my favourite. When they are put next to a Jacaranda, the effect is stunning!!!! Surreal is a good word, I wish I had photographed the fruit, really surreal. We’ll see if my seed comes up.. I see Jacarandas here but they are not particulary reliable I think. Probably, I have seen them in Hawaii and they look sturdy and more healthy.I took one out of my front yard and could see through the holes in the trunk.